Our project makes clean energy possible for Ugandans for 10 years and counting! 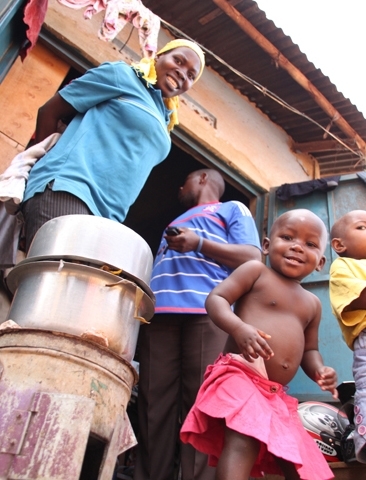 We are proud about the largest and longest-running improved cookstove program in East Africa. Therefore we take a look at how improved cookstoves help end-users with their everyday needs and how retailers find value in selling them. Thanks to your investment the project is able to work with its manufacturer partners to bring these high-social-impact stoves to market every day and continue to stimulate consumer interest. Since January 2006 this project has sold more than 482,000 stoves across Uganda and benefited 2,410,000 people (given the average household in Uganda is 5 people). These stoves have saved households over USD $122,960,000 giving the chance for many to pay school fees, start a business, pay health-related costs or simply save for a rainy day. Also, these stoves have reduced greenhouse gas emissions by an incredible 2,660,000 tons of carbon, contributing to global efforts to mitigate climate change. Our highly fuel efficient charcoal stoves have avoided the consumption of 472,000 tons of charcoal, which is equivalent to more than 7,210,000 trees! Aisha has been working at Dejavu Supermarket in the outskirts of Kampala for the last two years. 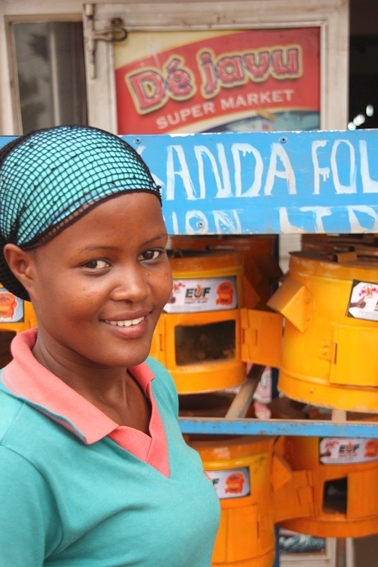 When she started, she noticed only 20-30 improved cookstoves were sold monthly. As of late, the number of stoves has increased to 40-55 monthly. 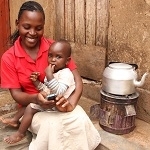 Aisha believes recent radio adverts, created and placed by the Cookstove Project on behalf of its manufacture partners, along with one year warranties, have contributed to heightened consumer interest. 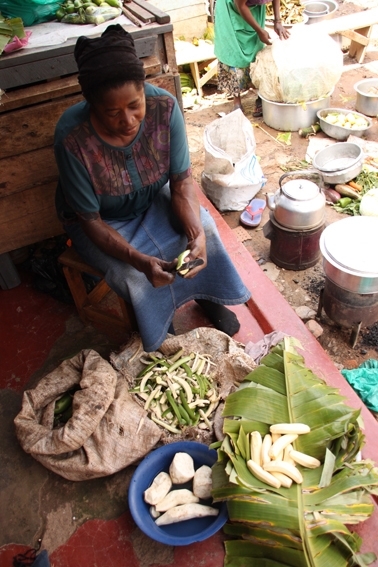 Christine started using an improved cookstove two years ago. She encountered a discussion with her neighbor who explained the kind of savings they could experience. She was quickly convinced this would be of benefit to her family. Her husband runs a tailoring business from their home and soon discovered the impact it had on his business. Using less charcoal with improved cookstoves meant more money could be used for business expenses. In addition to monetary savings, they also found more time to focus on their business and care for their children. 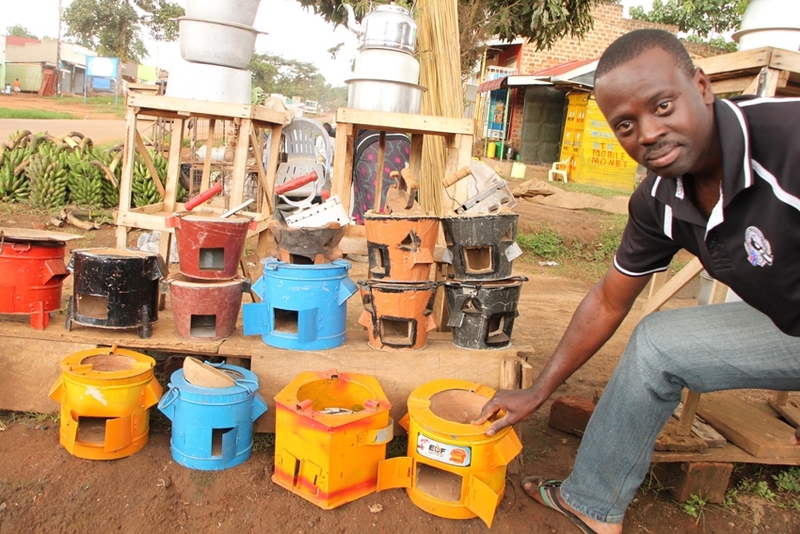 Situated on the outskirts of Kampala, Eddie runs a general store which sells a variety of stoves. Over the last one and a half years, Eddie has been selling improved cookstoves and recognizes the partner manufacturer of the project is the most interesting (the stove he is touching in the photo). Eddie sells between 16-20 stoves monthly and encourages customers to switch to improved cookstoves from traditional methods to start immediate savings. Ruth uses her improved cookstove everyday for her work and to feed her family. She experiences around 70% savings by using less charcoal. Caring for her family, she’s responsible for cooking for six people daily. With her savings, Ruth pays school fees and buys more food.